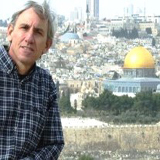 Zack Shavin is an Israel Ministry of Tourism licensed guide, archaeologist, certified wilderness instructor, accredited history teacher, and tour manager, specializing in Jewish & Christian tours, business travel, & Israel nature trips. Groups & individuals. Dear friends, Israel sets hearts on fire! As a veteran guide, archaeologist, and tour manager for over 35 years, sharing the wonders of Israel & Holy Land with people of all ages, backgrounds, and faiths is our life and passion. Whether planning a private or group visit, every tour is tailored to your needs, and includes pre-tour planning, accommodations for every budget, site reservations, and personal tour guide service, to ensure a smooth, enjoyable, and memorable experience. Zack Shavin was born in the USA and spent his childhood there. His family, strongly rooted in the Bible moved to Israel, fulfilling the biblical belief in the return to Zion. Zack attended Hebrew University in Jerusalem, holds undergraduate and graduate degrees in biblical history, archaeology, and education, and completed training at Israel’s National Guides School. Zack is married with six children. Zack is licensed by the Israel Ministry of Tourism as a national guide in English, Spanish, French, and Hebrew. He holds state teacher accreditation in biblical history, and certification by the Israel Nature Society as a wilderness guide and instructor. Zack Shavin began organizing and leading camel & jeep safaris into the rugged Sinai desert in the 1970’s while working for Israel Nature Society as a wilderness instructor and guide. When the area was turned over to Egypt a few years later, he began leading Israel and Holy Land tours. He has appeared on local and PS television in the USA, and produced the popular radio series “Holy Revealed: The Meaning, Message, and Mystery”. Today, Zack continues teaching, guiding, organizing tours, and sharing his love of Israel and all things biblical with people of all ages, religious backgrounds, and walks of life. Would you like to know more? See Tours for various options. For recommendations see Testimonials, Clergy Feedback, and Trip Advisor. You can also Contact Zack directly. Look forward to hearing from you!